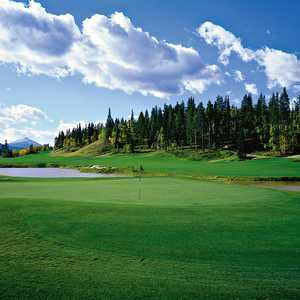 The 18-hole River Course at Keystone in Keystone, CO is a resort golf course that opened in 2000. 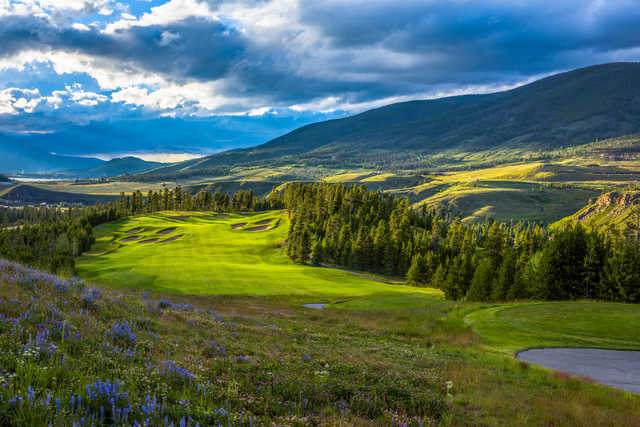 Designed by Dana Fry and Dr. Michael Hurdzan, River Course at Keystone measures 6886 yards from the longest tees and has a slope rating of 137 and a 71.3 USGA rating. The course features 5 sets of tees for different skill levels. Once again our annual 8-man Colorado Golf Binge group came to play our 36 hole day here at this great resort. We teed off at 8am in a shotgun start at the River Course and the rain held off til we were on the 18th hole. We were able to finish and head for the Ranch Course for lunch. But after 2 holes at the Ranch the big rains hit and we called it a day........a very good day. The Keystone Resort provides the ultimate in Colorado year round outdoors activities. A traveler wanting a great variety in winter sports or summer golf, biking, hiking, sailing, rafting, etc. can't go wrong by booking a trip to beautiful Keystone, Colorado. Keystone has two spectacular 18 hole courses with two separate clubhouses: The River Course at Keystone and Keystone Ranch Course. Both are in the best condition I've ever seen this summer. This review is on The River Course. I played this course again this year with my Colorado Golf Binge group and the conditions of the fairways and tee boxes were good in spite of a bad winter. We played 5 great Colorado courses last week at The River Course at Keystone Resort was voted as the favorite for several in our group largely due to the beautiful vistas and the exciting elevation drops. The River Course at Keystone hosted our son's pre-wedding golf tourney in 2012 and everything was spectacular. Many of our players said that the River Course, the staff's service and that round of golf was the best golf experience they'd ever had. 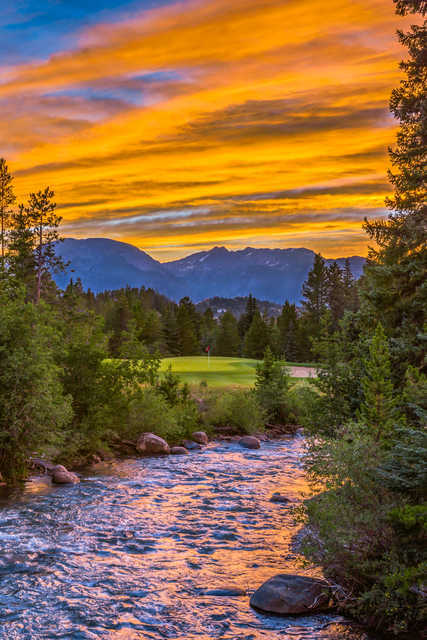 Keystone River Course opened in 2000 and has received numerous awards including three consecutive Silver Medals as one of America's Best Golf Resorts by Golf Magazine 2002-2007. Golf Digest ranked it as one of American's Top 75 Golf Resorts. 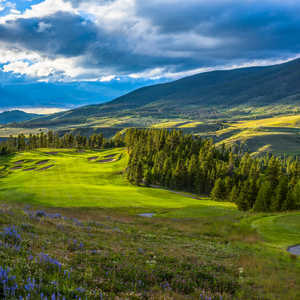 It always ranks high in Colorado resorts and especially a favorite for women due to the friendly forward tees and the beauty of the normally snow-capped mountains towering over the lush green Snake River Valley. The River Course is all about excitement, beauty and challenging shot-making. Five tee boxes on every hole allow you to pick your poison. The front nine opens with a gorgeous view of the Snake River valley and upcoming holes with a 551 yard par five off a high tee launching pad. You'll wonder if your golf cart will survive 18 holes after that drive up to the first tee. It will! 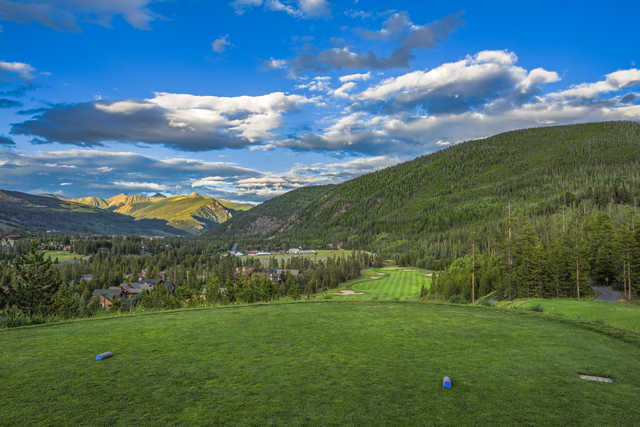 After your tee shot settles to the lush fairway well short of the snow-capped peaks of the Continental Divide and Keystone and Arapahoe Basin ski areas you will work your way through the valley and the front nine. Holes 5 and 6 are exciting target golf holes through a marshland often home to grazing elk and deer. #7 is a beautiful but tricky par 3 over the Snake River. After a long downhill par 3 ninth hole you'll pass the clubhouse and practice area and up into the hills of the back nine. Hole #16 is the wildest tee shot on the course. It's a 500 yard downhill, dogleg left par 4 with a 200' elevation drop. #17 is a drive and a wedge to a challenging elevated green. The finishing hole provides a wonderful view of Lake Dillon, Buffalo Mountain and the Gore Range. This 520 yard par 5 is now ranked as the #18 handicap while the 222 yard par 3 third hole is ranked as the #1 handicap. This seems more logical than automatically slapping the toughest handicap ratings on the par 5's as done on many courses. 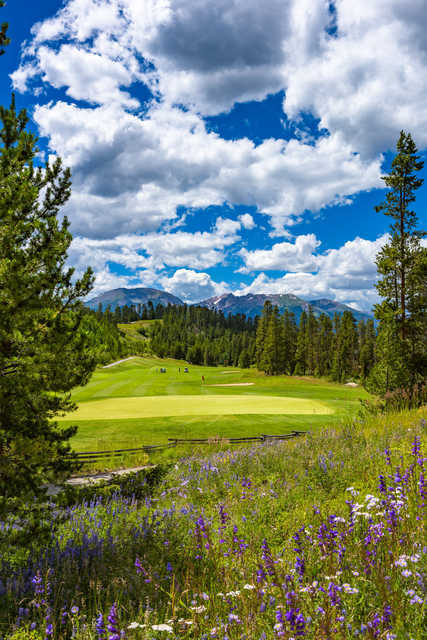 The River Course at Keystone is certainly a beauty and a wonderful change for a Southerner tired of the summer heat, humidity and of playing flat, dry golf courses. And when you've played the River Course it's time you treated yourself to the Keystone Ranch Course. It's older and quite different from the River Course but also fun and challenging. Steve Corneillier, GM of Golf, and his large staff do an excellent job of running their two top notch resort courses. Phillip Tobias is PGA Head Golf Pro at The River Course. Tod Anderson is Tournament Coordinator. Jim Banks is Head Pro at the Ranch Course. I've always found all the Keystone staff to be friendly, professional and most helpful. 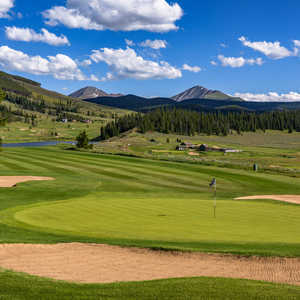 At times Keystone offers some great Stay and Play packages at great rates at the Inn at Keystone including golf at the Keystone Ranch Course and deals on golf and fly fishing clinics plus nature hikes and more. 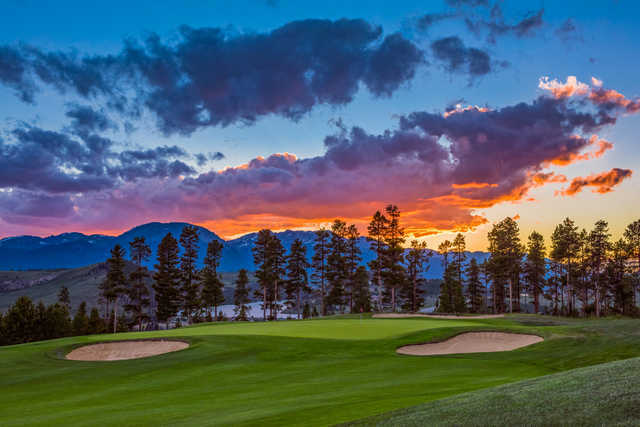 Keystone has two spectacular 18 hole courses with two separate clubhouses: The River Course at Keystone and Keystone Ranch Course. Both are in the best condition I've ever seen this summer. This review is on The River Course. I played this course again this year with my Colorado Golf Binge group and the conditions of the fairways and tee boxes were great. We played 5 great Colorado courses last week at The River Course at Keystone Resort was voted as the favorite for several in our group largely due to the beautiful vistas and the exciting elevation drops. One of the most picturesque golf courses I've played in 40+ years of golf. You'll enjoy the scenic beauty and how far your ball travels especially off the tee. Many elevation changes make this a must play.